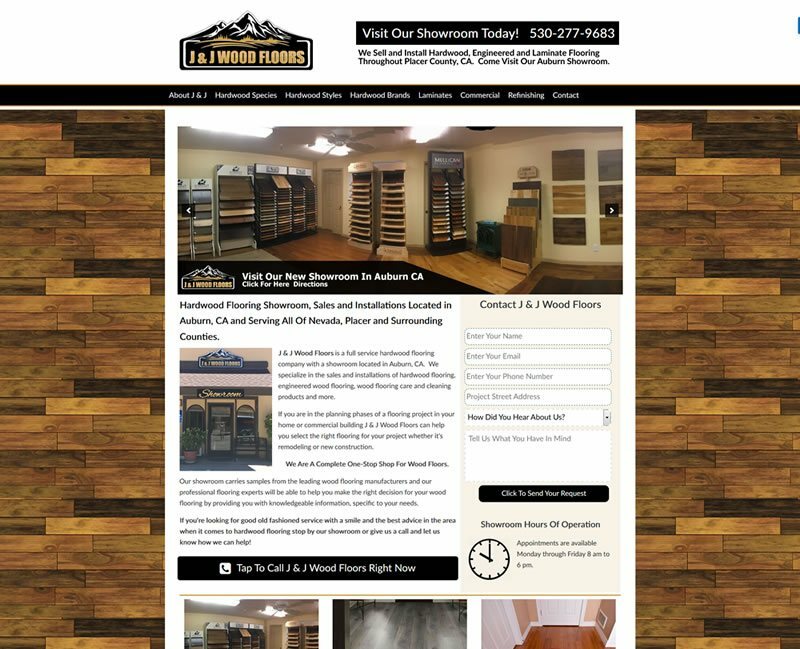 J & J Wood Floors New Website. J & J Wood Floors is a hardwood flooring contractor based out of Auburn, California. They specialize in hardwood floors and hardwood floor finishing. 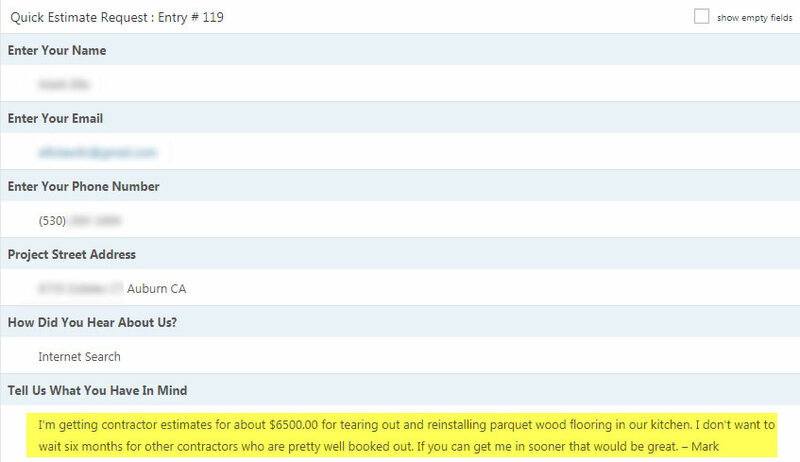 Joe Putzel, the owner of J & J Wood Floors first contact us several years after having read some of Carl Sorensen’s posts on a popular contractor forum. We actually built Joe a new website a few years ago, did some basic optimization to the site and Joe was kept busy for a few years. He contact us again in the summer of 2017 with a new project. 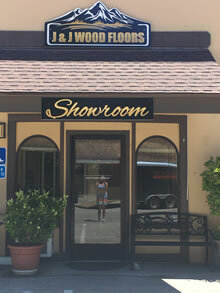 Joe and his wife were getting ready to open their first wood floor showroom in Auburn, CA. 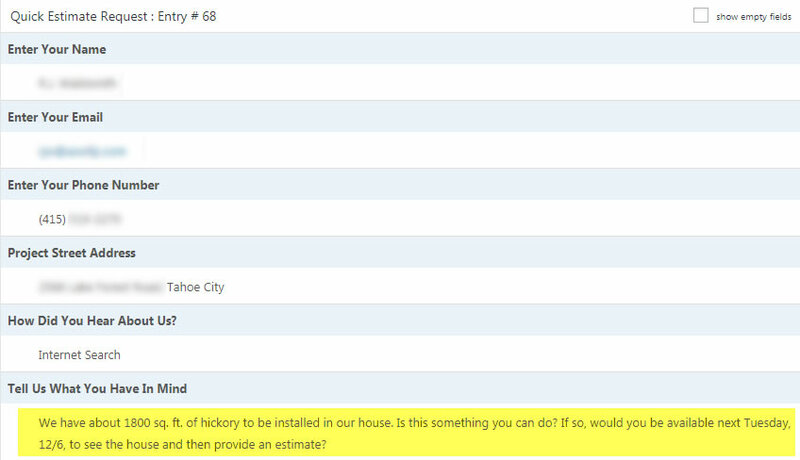 They wanted to sell hardwood flooring, engineered flooring, laminate flooring, wood floor care products, and more. It was very important to Joe that his new website be easily found in search engines and that customers would have very easy-to-understand directions to get to their shop as the location was actually around the back of another building. How Did We Help Joe And J & J Wood Floors? Because Joe’s first site he had us build was now a few years old we suggested the path of a redesign with a few months of very aggressive SEO and Internet Marketing. Being that he now had a physical location for his business with a showroom (most contractors don’t) it was apparent we were going to need to spend quite a bit of time on his citation profile to make sure the new address and location would be consistently displayed across Google. We created the new, mobile responsive website with emphasis on Joe’s most important product offerings and a detailed map of their showroom location. We knew that people on mobile devices were very likely to find him in search and we wanted them to get to the location easily. It’s been about a year after the launch of the new website (as of this writing) and the website has generated 146 leads. This doesn’t include phone calls nor does it include the people who’ve found the business online and who decided to just drop by.